The National Bank of the Virgin Islands plans to offer “Fast Passes” to sister island residents so they can skip the normal lines while doing their banking on Tortola. NBVI decided to implement the idea after CEO Joy Francis visited Virgin Gorda, Jost Van Dyke and Anegada in April and quizzed residents about their needs. The announcement comes after a series of banking woes on Virgin Gorda: In November, CIBC FirstCaribbean Bank announced that it was shuttering its VG branch, and in June Scotiabank announced it would close its VG branch by Sept. 1. The pair of closures left the sister island without any on-the-ground banking services. Shortly after Scotia’s announcement, Premier Dr. Orlando Smith (R-at large) said that he spoke with NBVI Chairman Clarence Faulkner about establishing a presence on Virgin Gorda. The first batch of NBVI Fast Pass cards — which are personalised and non-transferable — have already been produced and will allow sister island residents to wait in a designated line at the Road Town branch, according to the press release. 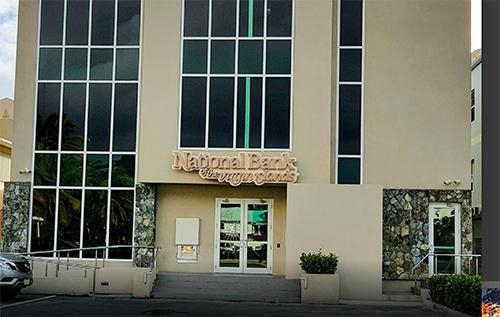 Other sister island residents are encouraged to pick up their cards at the bank during normal operating hours of 8:45 a.m. to 3 p.m. Monday through Friday, the press release stated.